This Tribute point represents only one of about 21 known examples that were found in the 1930's in Craig Mound at Spiro. 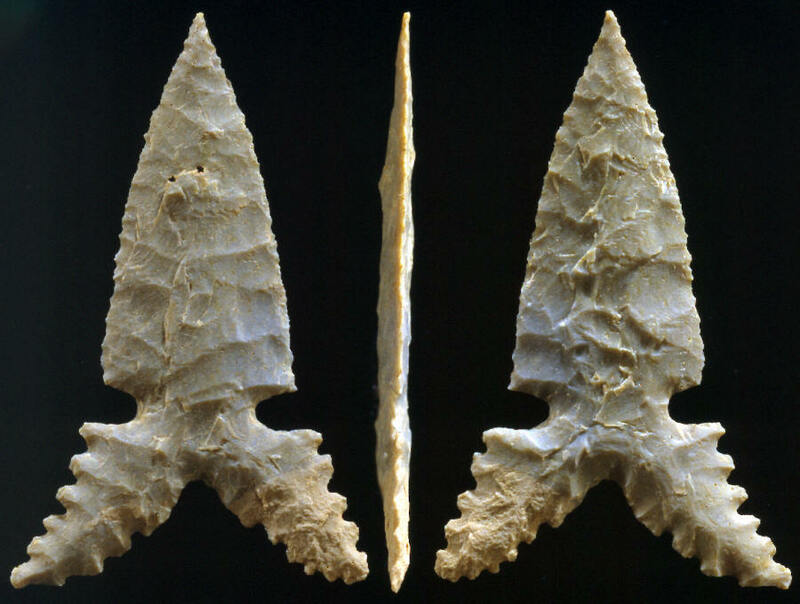 Tribute points are the most artistically designed and skillfully made point type recovered from Craig mound. Greg Perino named these points in 2001 from a small group that surfaced in a private collection and documented several years ago by Dr. Robert Bell. This point measures 1 13/16 inches long (46mm) and 1 1/16 inches wide (26mm).